Modernizing & supporting a partner. AMERICAN HERITAGE® Chocolate is part of the Mars Wrigley Confectionery family of brands. The brand is a result of years of research by more than 115 global experts and has authored books to help further the cause of chocolate education and celebrate recipes and traditions. 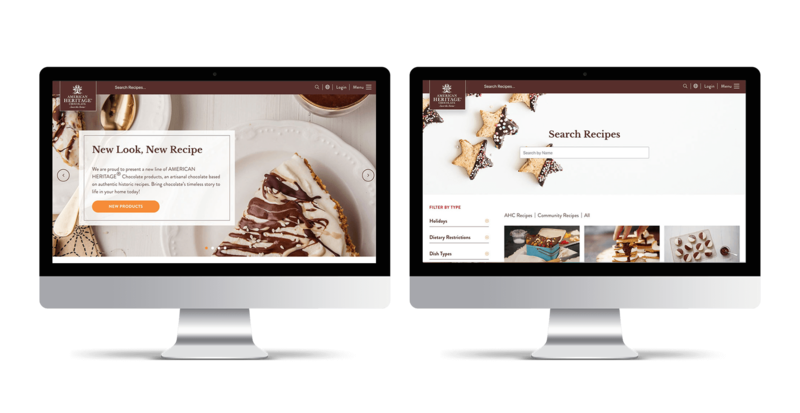 Matchfire was tasked with a full rebuild of their website, designed to encourage users to share their #chocolatestories, recipes and be a part of a vibrant community who share a passion for both history and chocolate. We created a completely responsive website that enables existing users to entice new users to the site through sweet social sharing tools, built directly into a custom parallax timeline. In addition, robust and informational features were created to drive traffic to living history partners for online orders. Product retailers and MARS associates can collaborate to manage and maintain the site’s content through three separate CMS login levels.